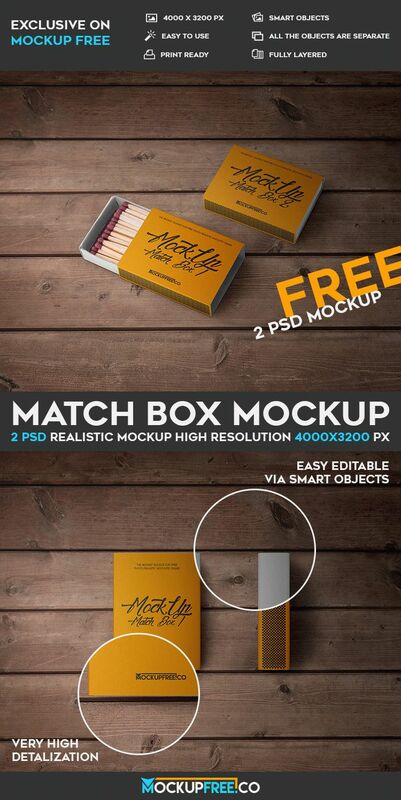 This is photorealistic 2 Free PSD Mockups – Match Box. Download it Free for promoting different products, for showcasing the necessary designs and making presentations. These free PSD mockups that is print-ready products can be customized using Photoshop.